The Mill on Magnolia Lane: A gorgeous feel good romantic comedy - Kindle edition by Tilly Tennant. Literature & Fiction Kindle eBooks @ Amazon.com. 4.0 out of 5 starsthe story came around to leave me with a smile. The Mill on Magnolia Lane is the latest offering by Tilly Tennant. This is the tale of the Lovell women, Lizzie, her younger sister Gracie, mother Gwendolyn, and step mother Florentina. The story begins with the funeral of Lizzie’s father. She rides in the second car with her mother as Florentina has the privilege of riding in the widow’s limousine, causing additional angst for Gwendolyn. As Lizzie is a freelance web writer, she is able to take her job anywhere. When she sees the old dilapidated windmill her father had so dreamed of restoring on the ride to the cemetery, the kernel of an idea begins to germinate. In the next few months she finds herself the owner of the mill and it’s property, a caravan for temporary housing, an enormous mortgage, and a feeling of exhilaration. She is stepping out of her box, taking a chance, and is so excited to see what will come with the renovation. She meets neighbor Jude Travers and his disabled brother Charlie and forms a fast friendship with them both. A strong attraction between Lizzie and Jude is evident from the beginning. But the baggage Lizzie carries from her previous relationship and the presence of Jude’s former relationship in the form of close friend Harriet and their young son Artie may be more than they can overcome. When Gracie appears on Lizzie’s doorstep after her break up, the trailer gets crowded and patience gets thin. And thus the story evolves. Life goes along uneventfully until tragedies strike that bring the four women together, making unlikely bonds and acceptance. 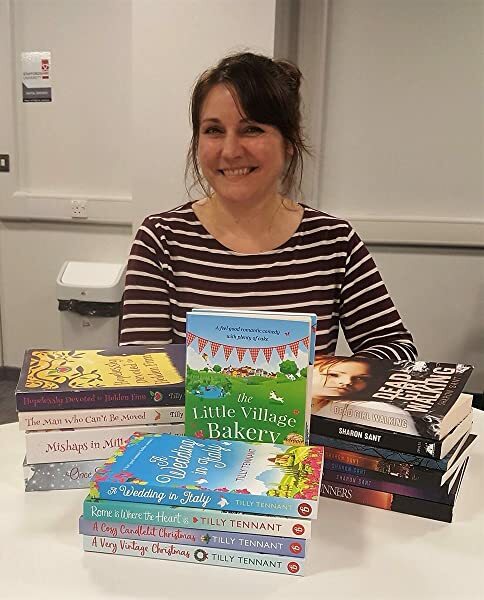 In Tilly Tennant!s twenty-second novel, the reader is once again in store for a story of love in its many facets as well as the way it unites people in the darkest of times. I did enjoy this book and I do recommend it. Like the beautiful cover, THE MILL ON MAGNOLIA LANE by Tilly Tennant filled me with warmth from the beginning and left me cosy and comforted by the end. ​Lizzie is lost without her beloved Dad but when she buys the old dilapidated mill that her father always dreamed of owning, she feels like it was fate and that he would be proud of her for taking it on. And a huge task it is as the mill barely has walls let alone windows or anything else that makes it habitable. But it is a new start which is exactly what Lizzie needs. What she didn't expect were her handsome next door neighbour and his amazing little brother, and suddenly Lizzie finds herself in a new relationship. But life is rarely simple and as Lizzie tries to juggle this herculean renovation alongside her family squabbling, is she really ready for love with someone who has a very close relationship with his ex? 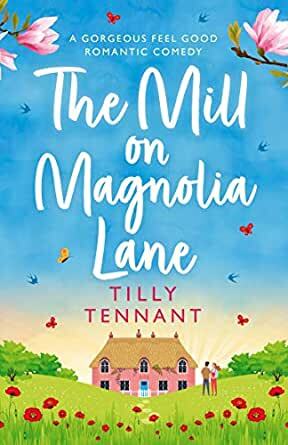 Charming, funny, and very realistic, THE MILL ON MAGNOLIA LANE by Tilly Tennant may just put you off doing some home renovations but it will make you smile and fall in love with this wonderful group of quirky characters who are all dealing with their own stuff, and trying to be happy. The setting is perfect and I really hope this won't be the last we hear from this spirited community, but it is the emotional parts of this story which shone for me. The topics of grief, sibling rivalry, step-parenting, co-parenting and more are all deftly entwined amongst new romance, friendship, self-belief, and love, and I read this book in one night as I simply could not put it down. THE MILL ON MAGNOLIA LANE by Tilly Tennant was everything I had hoped it would be and then some, and I highly recommend it to fiction fans everywhere!